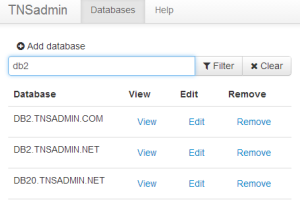 It can be quite difficult to handle frequent tnsnames changes in LDAP using multipurpose LDAP managers. 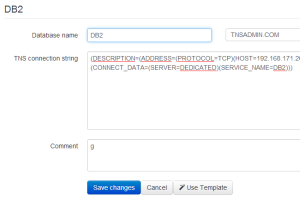 So we created TNSADMIN Web Manager - java web application, which lets your DBAs easily and securely manage connection descritors in LDAP. 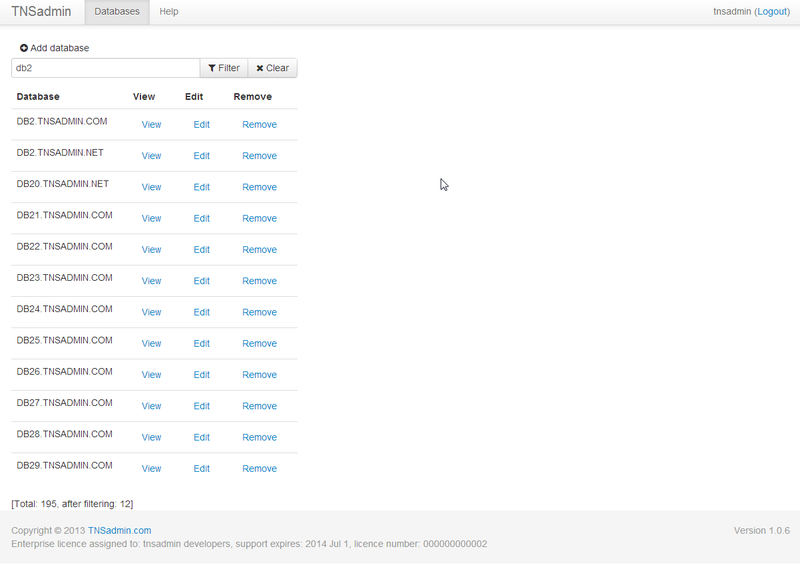 We recommend to use a standalone bundle of Tomcat + Web Manager - it is well tested and should work for you immediately. If you are advanced user, and need to install application to your own application server, you can download WAR archive. Application is free to use, with all features enabled. The only limitation is management to up to 10 LDAP records. If you need to manage more records and need our support with installation or configuration, please buy an enterprise license and support our work.